This is the ultimate keto meal plan guide. 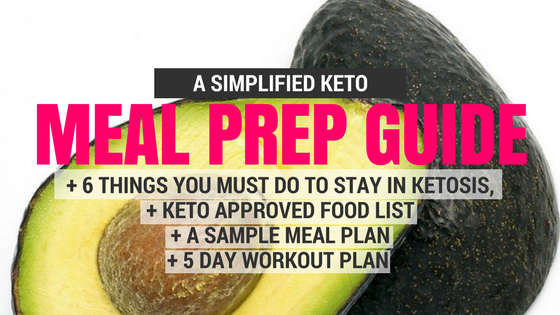 this keto meal prep guide will show you exactly what to eat on a keto diet lose weight, what fruits are allowed on the keto diet and exactly what is the ketogenic diet plan? This includes a keto approved food list, keto meal prep plan and the 6 things you must do to burn fat on a keto diet! Drop your email below & I will send you the password to The Locker Room, where you will find this Meal Prep Guide to Master Keto + weekly updated secrets to burning fat & More!